On September 26, 1983, Stanislav Petrov helped prevent the outbreak of nuclear war by simply following his gut. Scott Peterson / Getty ImagesStanislav Petrov at his home in 2004. Not many people know just how close the world came to a nuclear war better than Stanislav Petrov. 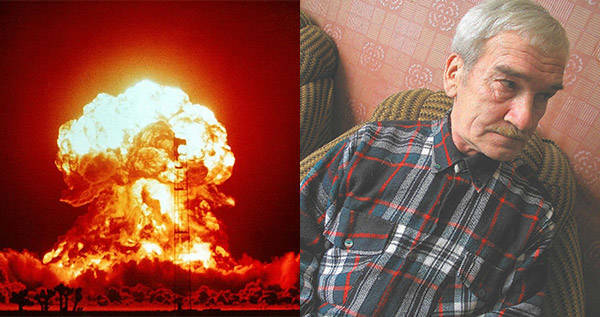 Petrov was a few hours into his shift on September 26, 1983, as the duty officer at Serpukhov-15, the secret command center outside Moscow used for monitoring Soviet military satellites over the United States. Suddenly the alarms went off, warning that five Minuteman intercontinental ballistic missiles had been launched from an American base. He recalled the few moments it took to realize what was happening. At the time, Petrov was 44, serving in the Soviet Air Defense Forces, during one of the tensest periods in the Cold War. President Reagan had refused to freeze the arms race. The Soviet Union had been declared an “evil empire, ” and their leader, Yuri Andropov, was constantly afraid of an attack by the Americans. Petrov’s superiors were in charge of reporting any attacks to the general military staff, who would then report to Andropov, regarding a retaliation. He had to decide whether to report these missiles to his superiors and risk setting off an irreversible chain reaction. Ultimately, he decided the reports were probably false, though he recalled later that there was only a 50-50 chance he was right. He claimed that he never trusted the early warning system. 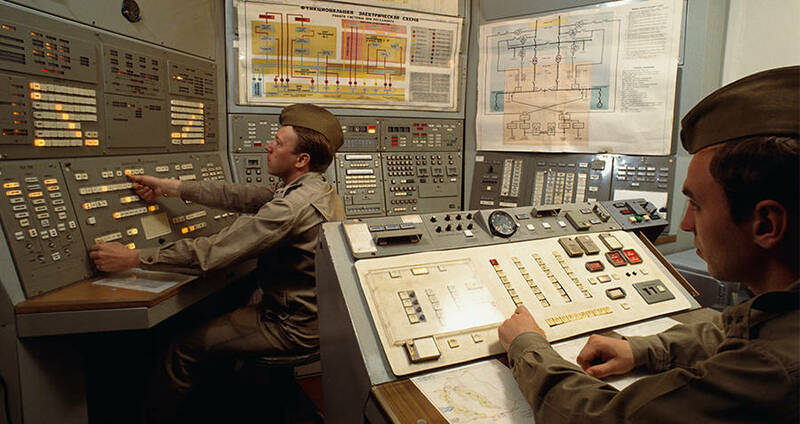 Control room at nuclear missile base outside of Moscow, similar to the base Petrov would have served in. Before serving during the Cold War, Petrov studied engineering at the Kiev Higher Engineering Radio-Technical College of the Soviet Air Force. He then joined the Air Defense Forces, quickly working his way up through the ranks to become Colonel. Those who have studied him and his role in the event attribute Petrov’s calm demeanor to the aversion of what could have been a catastrophe. Though the computers had insisted that the threat was at the highest level possible, Petrov remained calm, ultimately deciding against affirmative action, though the threat was potentially imminent. The estimate allowed that once a missile was launched, there were only 25 minutes until detonation. Though he decided against reporting the missiles, he did report the alert as a system malfunction. He did admit that he believed that should the American’s start a war, it would have been with more intensity. “When people start a war, they don’t start it with only five missiles,” he said. Ultimately it was discovered that the system had malfunctioned. It had originally been manufactured quicker than intended, due to the United States introducing a similar product. This is why, Petrov said, he knew not to trust it. Colonel Stanislav Petrov died at age 77 in Fryazino in May, a suburb of Moscow, though his death is only being widely reported now. He is survived by his son Dmitri, a political activist who only met him as an adult after he’d heard of his role in the Cold War. Though the act brought him fame, Stanislav Petrov maintained that he didn’t deserve the spotlight. During an interview for the film, he mentioned that it could have been anyone in his place. “I was just in the right place at the right time,” he said. 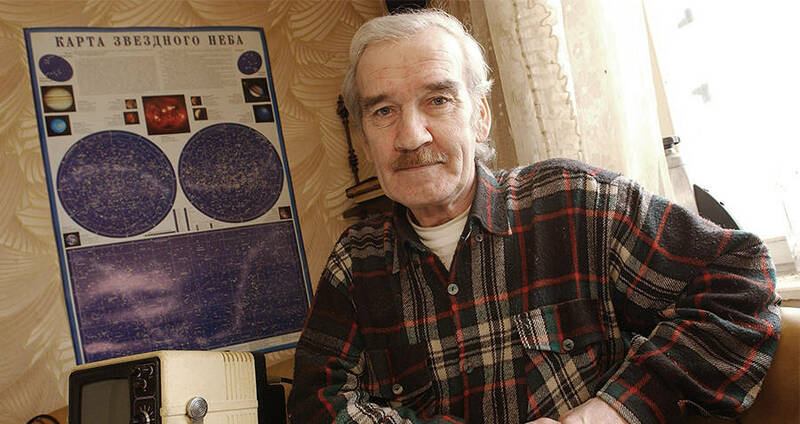 Enjoyed this article on Stanislav Petrov? Check out these Soviet propaganda posters. Then, read about this top-secret 1950s bunker.